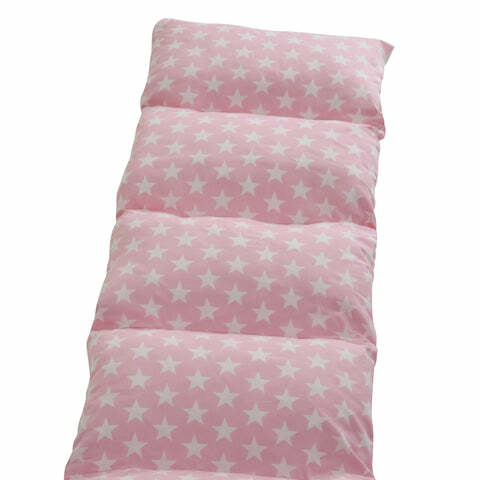 Bed in a Bag, Pink Star | Great Little Trading Co. This brilliant mattress makes having friends to stay is so easy; just unzip the matching storage bag and roll out your mattress – we can’t guarantee they'll sleep at all but it's definitely very cosy. 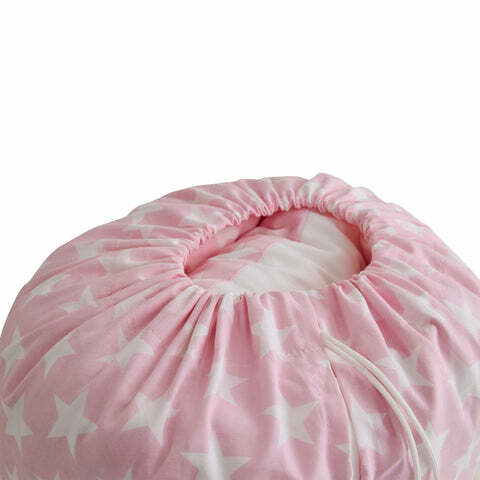 It's big enough for adults as well as children, and there's no need to blow up the cushions; they're filled with squidgy, polyester inners and the cover is crisp, 100% cotton. Spot clean only. 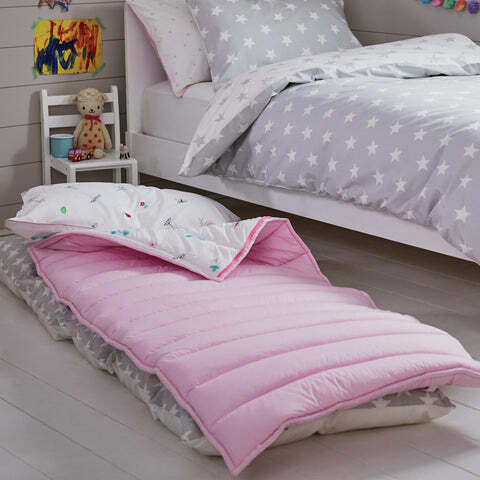 Our Bed in A Bad is the ideal partner to our coordinating Children's Sleeping Bags - they have lovely quilted covers and come in four gorgeous designs.